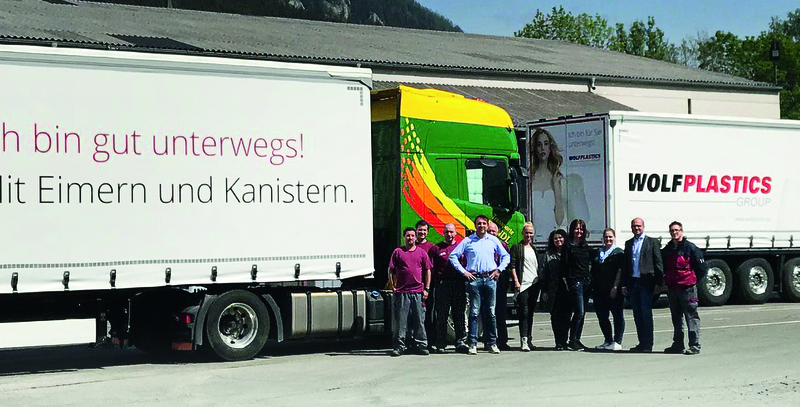 Prompt delivery in an appealing design – WOLF PLASTICS is getting noticed on Austria’s roads with its own branded lorries. The team of WOLF PLASTICS and Brandl in front of the new lorries. One thing has to be said to begin with: future-oriented logistics at WOLF PLASTICS also means that when items are shipped, close attention is paid to combining lorry journeys to save as many kilometres as possible. Lorry journeys are, however, essential for the buckets and canisters to be delivered as agreed and to schedule. WOLF PLASTICS has appointed the forwarding agency Brandl Transport of Trofaiach as an important partner in Austria. Primarily due to the highly professional service, but also because of the proximity to the plant in Kammern. 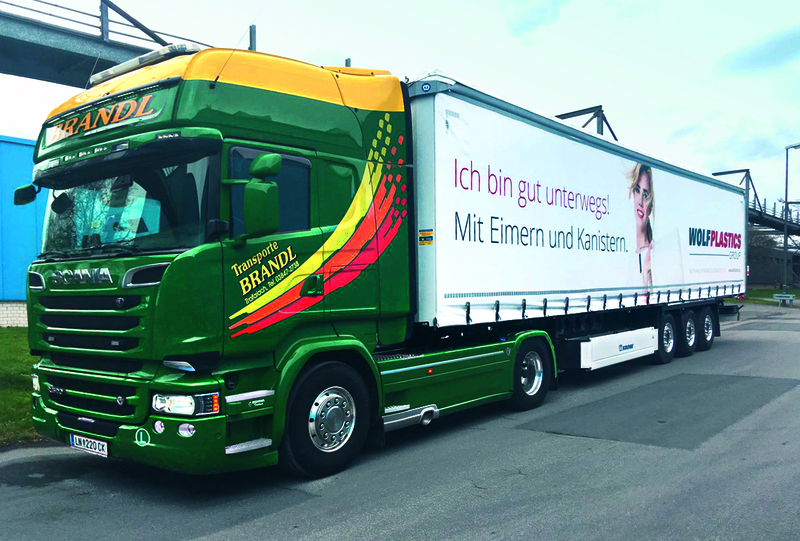 Since the beginning of May 2018 two of Brandl’s delivery fleet lorries have been driving with highly attractive tarpaulin designs showing what is being transported behind them. “I’m well on the way! With buckets and canisters.” This is what it says on the lorries in connection with the logo of the WOLF PLASTICS GROUP. It attracts attention not only on the road but also at the destination when the WOLF PLASTICS products reach the customer on time and as agreed.